If you bought OS X Lion software recently, you would have found out that you have no physical disk for later re-installs. 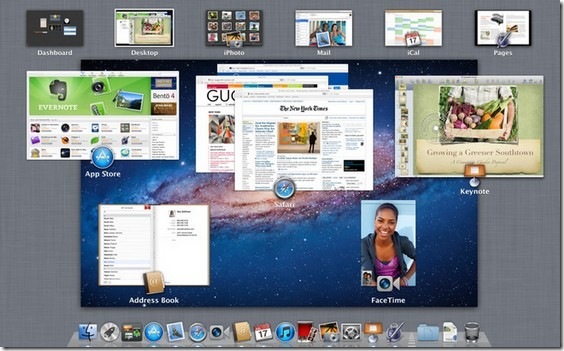 Apple has decided to sell OS X Lion only through their Mac App Store. But, I posted on how to create Mac OS X Lion boot disc earlier. Now, there is an even easier way to create your own Lion boot disc. Lion Diskmaker is a simple app that creates a Lion boot disc for free. It just needs to known where your Mac App Store download is and it can extract the contents and create boot disc out of a USB drive (4 GB) or a DVD. If you haven’t upgraded to Mac OS X Lion yet, it is an amazing upgrade for just $29.99! That is a steal. I read your post and enjoyed …it’s very interesting….. Happy to know about OS X Lion…thanks…waiting for your new post. It’s unteresting topic! Thanks for sharing! thank you for such a great, interesting and insightful post! i really liked it! good job! Good post really interesting! This MAc looks great! This will surely reveal the best from Mac products! Very interesting post! This post will be very cool post! great post! i really liked it! thanks! Didn’t know about Mac OS X Lion boot disc but now it’s clear for me. thanks alot. nice. it`s really good indeed. I agree! this is great and I find this post useful as well.